Healthy eating habits are a way of balancing the food that you eat in order to maintain your body in peak health. 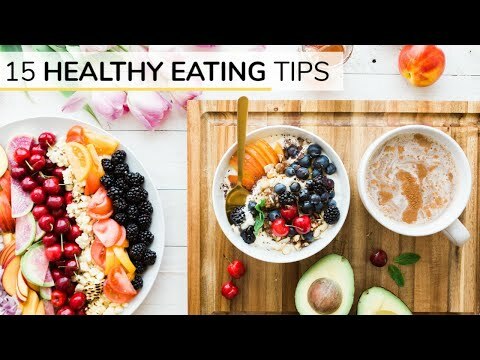 With healthy eating, you will have energy all day, get the vitamins and minerals that you need, stay strong for activities you enjoy and maintain a healthy weight. The saying of 'You Are What You Eat' is very true when it comes to food. Being a healthy eater requires that you become both educated and smart about what healthy eating actually is. Being food smart is not just about learning to calculate grams of fat, or studying labels and counting calories. Healthy eating is all about balanced and moderate eating, which consists of eating a healthy meal at least three times per day. Healthy eaters eat many different types of foods, not limiting themselves to one specific food type or food group. You should always bear in mind that restricting any type of food is always a bad thing. Healthy eating is a way of life, something that you can do to enhance your body or your lifestyle. If you have thought about making your life better, healthy eating is just the place to start. You will make life easier for yourself and those around you. Eating three meals a day together with snacks in between is the ideal way to maintain both energy levels and a healthy weight. When you skip meals and get hungry, you are more than likely to look for foods that are not very good for you. If you are eating away from home, either take food with you or just find somewhere that you can buy healthy food from. Instead of deep frying, try grilling, stir frying, micro waving, baking, and or boiling. To add flavour, try adding fresh or dried herbs and spices to your food. When eating any type of meat, trim off any excess fat and skin from it. Drinks that contain sugar are a major source of empty energy meaning that they contain a lot of energy that your body may not need These type drinks also contain little or no vitamins and minerals. If you do drink sugary drinks, try to limit yourself to no more than one a day. There are neither good foods or bad foods as all types can be a part of a healthy diet, when eaten in moderation. There is no need to buy low carbohydrate, fat free, or even diet foods, as these type foods normally have numerous other added ingredients to make up for the missing carbohydrates or fat.